Show off your gaming skills with these dices. 7pcs/set x Dices Beads. Color: Pink with Black. Quantity: 7pcs/set. Due to the difference between different monitors, the picture may not reflect the actual color of the item. 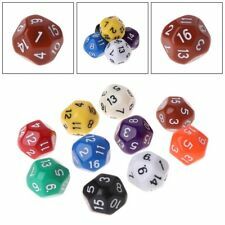 Contains 10PCS 16 Sided Dice D16 polyhedral dice. Material: Acrylic. Quantity: 10pcs/Set. Color: As the picture shown. 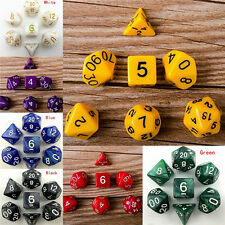 7pcs dices in one set. 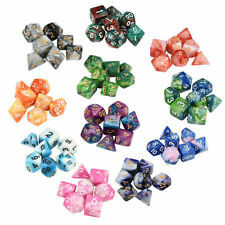 Show off your gaming skills with these multi sides dices. 1- 10 sided die. 1- 10(1) sided die. 1- 12 sided die. 1- 20 sided die. Show off your gaming skills with these dices. Color: Clear White. Quantity: 7pcs/set. Due to the difference between different monitors, the picture may not reflect the actual color of the item. New Arrival. 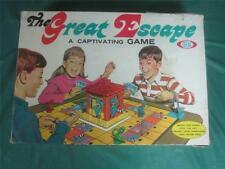 Great care is taken to ensure that your item arrives in perfect condition, free from efect. Material: plastic;. Color : See the picture. Why Buy From us. 1- 10 sided die. 1- 10(1) sided die. 1- 12 sided die. 1- 20 sided die. Show off your gaming skills with these dices. Color: Hot Pink with Milk White. Quantity: 7pcs/set. Due to the difference between different monitors, the picture may not reflect the actual color of the item. Show off your gaming skills with these dices. 7pcs/set x Dices Beads. 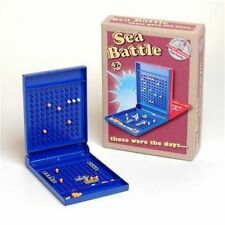 1- 4 sided die. 1- 6 sided die. 1- 8 sided die. 1- 10 sided die. 1- 10(1) sided die. 1- 12 sided die. POOP SHOOT! – Kids, poop emoji enthusiasts, and parents alike are all bound to love Poop Shoot. In the age of Poop Emojis, Poop Pillows, and … well… poop anything! We’re proud to bring you POOP SHOOT! SAFARI PHOTOS. Flip-Flappers Spelcassettes - FOTO SAFARI. 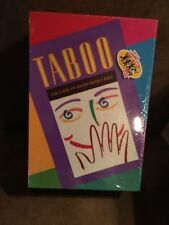 Made by MB Milton Bradley in 1990.
" 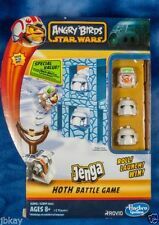 NEW " Angry Birds Star Wars Jenga Destroy The Death Star Game " OPENED BOX "
5 out of 5 stars - " NEW " Angry Birds Star Wars Jenga Destroy The Death Star Game " OPENED BOX "
1 product rating1 product ratings - " NEW " Angry Birds Star Wars Jenga Destroy The Death Star Game " OPENED BOX "
Trending at C $29.40eBay determines this price through a machine-learned model of the product's sale prices within the last 90 days. Show off your gaming skills with these multi sides dices. Material: resin. 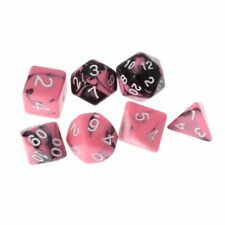 7pcs dices in one set. 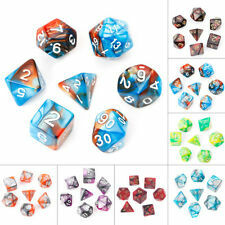 Show off your gaming skills with these multi-sided dices. 7pcs/set x Dices Beads. Quantity: 7pcs/set. Due to the difference between different monitors, the picture may not reflect the actual color of the item.